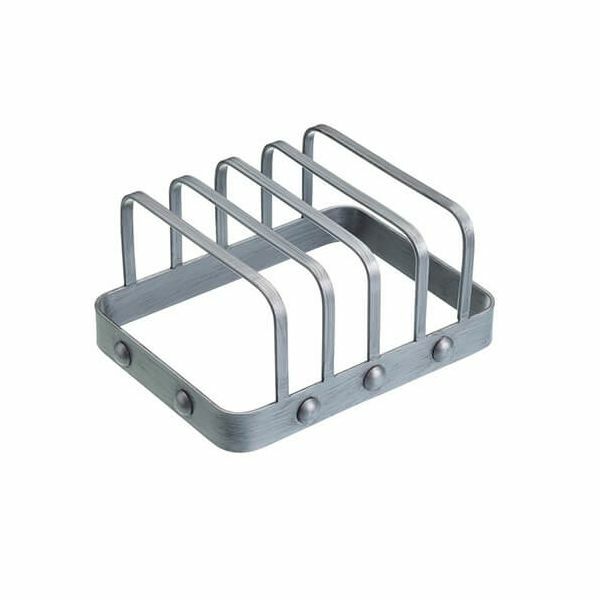 This Industrial Kitchen Toast Rack is rugged, robust and 100% certified food safe material. 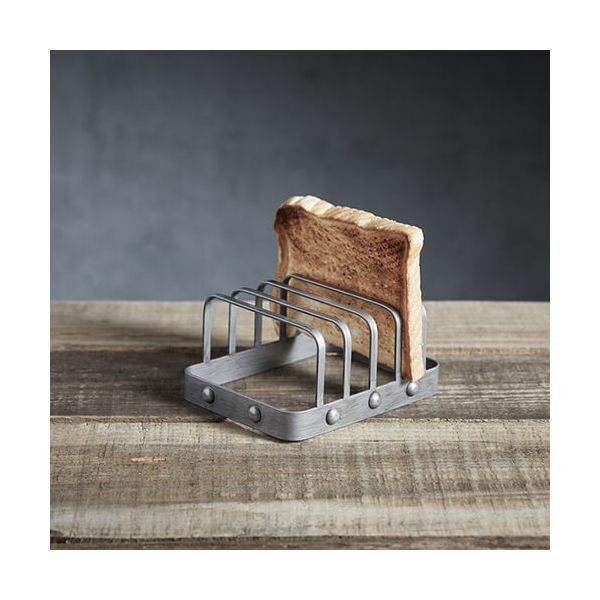 The chunky design features a distressed finish with heavy riveted detailing and can hold up to 4 slices of thick toast. The Toast Rack matches other items in the Industrial Kitchen range and also makes a great gift for friends and family.